Music bookings just keep pouring in these days, and the Napa Valley Opera House's just-announced season is full of legends who rarely play such small venues. 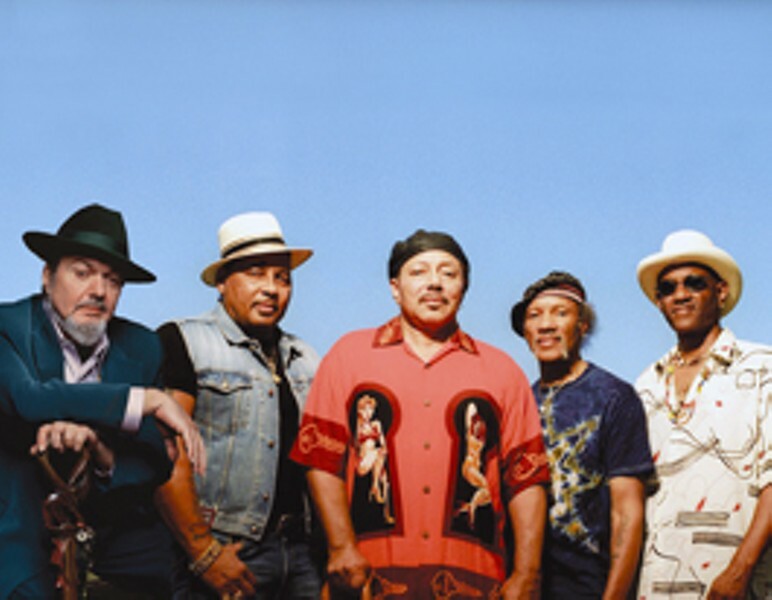 The intimate theater hosts the Wallflowers (June 18), Joan Baez (July 6), Sarah Chang (July 18), Bruce Hornsby (Aug. 15) and a double dose of New Orleans with the Neville Brothers and Dr. John together (above, Sept. 7). The Opera House's annual fundraising gala, a full-blown affair with tickets starting at $350, features the biggest booking score of them all: Pink Martini, direct from Carnegie Hall (Oct. 3). The Opera House also sponsors Motown legend Smokey Robinson at Robert Mondavi Winery, in a series across the valley that marks the 40th anniversary season of the Mondavi's Summer Festival Concert series. Debuting in 1969 with a ticket price of $3, the festival has since included such greats as Ella Fitzgerald, Tony Bennett, Buena Vista Social Club, Benny Goodman, Sarah Vaughn, Lena Horne, Stan Getz and many, many more. This year, it's Robinson (Aug.1), a 4th of July celebration with the Preservation Hall Jazz Band (July 4), Natalie Cole (July 18), Ozomatli (July 11), the indefatigable B-52's (June 27) and KC & the Sunshine Band (July 25). The Wells Fargo Center continues its hot streak with a stellar season including Tears for Fears (July 14), Madeleine Peyroux (Aug. 5), Huey Lewis and the News (Aug. 13), Elvis Costello (Aug. 21), Diana Krall (Aug. 25), Sheryl Crow (Sept. 1) and, in a rare onstage conversation sponsored by Copperfield's Books, Broadway legend Stephen Sondheim (Oct. 24). Coming in 2010: Anthony Bourdain (Jan. 13) and Dave Brubeck (March 24). Up in Healdsburg, the Rodney Strong Vineyards Concert Series tips the smooth jazz scales with Peter White and Mindi Abair (June 27), the Rippingtons and Craig Chaquico (July 11), and Euge Groove, Jeff Golub, Jeff Lorber and Jessy J (Aug. 8). Blues torcher Susan Tedeschi stops in with JJ Grey & Mofro (Aug. 22), and the whole series wallops to a rock 'n' soul finale with AM hit makers Hall and Oates (Sept. 7). The Sausalito Art Festival, an annual event of art and music since 1952, celebrates the 40th anniversary of Woodstock with "The Heroes of Woodstock 40th Anniversary Tribute" (Sept. 6). Among the love-in rockers resurrecting the old spirit are Jefferson Starship, Canned Heat, Big Brother and the Holding Co., Quicksilver Messenger Service and Tom Constanten. The whole thing's hosted by Country Joe McDonald, who'll no doubt reprise his famous "fish" cheer. Other highlights at the festival include Night Ranger (Sept. 5) and Johnny Winter (Sept. 6). Just north of Sausalito, the Novato Art and Music Festival turns Grant Avenue into a city-wide block party with wine, art booths, craft areas and a kids' zone. Among the bands playing are the Unauthorized Rolling Stones, the Edgeand Tommy Castro (June 13), and Tom Rigney and Flambeau, Shana Morrison, Poor Man's Whiskey and Wonderbread 5 (June 14).